When world leaders turned up in Geneva a couple of weeks ago to talk about the world’s health, a lot was looked into. For example, there were conversations on how to create stronger health systems for the future, including how, going forward, we can address both the world’s neglected diseases and its pressing issues. Did you know that every 3 seconds worldwide here is a new diagnosis of dementia? While there is still debate on whether or not dementia is ‘mental illness,’ the facts are worrying. What does that mean for people living especially in communities where health care is still an issue — both in regard to access and affordability? But then AGAIN – this is why we need to have these conversations. To remind ourselves of the work that needs to be done both on a local and global level. This then brings me to one of the conversations that are considered “taboo” back home in Uganda. Mental health. I say taboo because research has shown that being mentally ill attracts a lot of stigma in the society. It is a very uncomfortable subject. And yet that has not stopped young people on the continent and especially in Uganda from ‘addressing’ this sometimes very painful subject. 1. Why is mental health very important to you as a person? Mental health is very personal for me. I struggled with depression for a very long time, since my childhood, and then later on in my early 20s I slipped into substance abuse and had to go through treatment. I then had to continue to learn and find new ways to lead a functional life dealing with depression. I am still in recovery and I have learned that there are many people (1 in 4 worldwide) living with a ‘certain’ mental health disorder at any one given time. I have also learned the importance of helping others and carrying on the message that recovery is possible. By starting this foundation, and through the work that I do, I have found fulfillment. By being able to work through the journey of recovery along with so many other people, we manage to show them that they are all going through the same thing. 2. Why do you think that until now [last couple of years] the world had not addressed this issue? There has been and there still is a lot of stigma around mental health, not just in Africa but the world over. 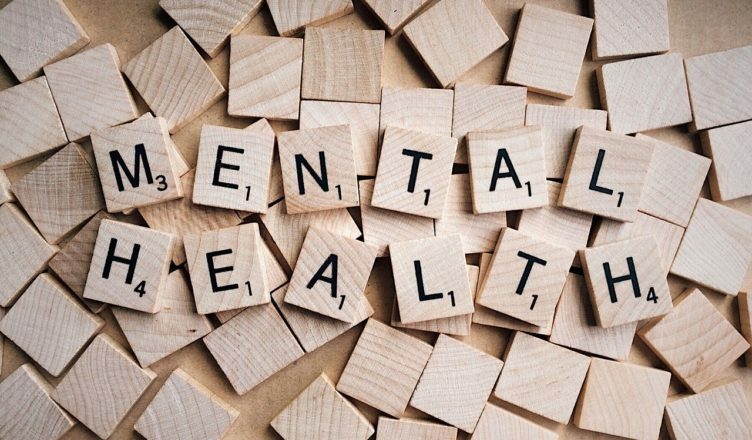 However, over the past few years, more information around mental health has started to come to light and people are slowly becoming enlightened on mental health. There is still a lot of work to do, especially in terms of educating people and society that ill mental health is created by diseases just like ill physical health. We need to dispel myths that connect ill mental health to traditional beliefs, to improve access to health care for people living with mental health challenges, and to improve policy and legislation around mental health. This is what we aim to do at The Tumaini Foundation. 3. The cultural pretext of a modern/traditional Ugandan society and how they interface with the subject —Depression, Mental illness, etc — is complex. How has this made your work easier or harder? How many people have you reached out to and how many have reached out to you? The cultural pretext has made our work a lot harder, harder than I ever imagined. While addressing mental health issues, trying to raise awareness, and most importantly in addressing stigma, I have myself suffered on many occasions after disclosing that I too suffer from a mental health issue. The feedback based on this has many times been disheartening. But the fact remains that there are at least 9 million other Ugandans suffering from the same issue, and that has kept me going. Even with the negative feedback, the reception of the idea is and continues to be overwhelming. People have been waiting for a voice, for someone to champion this issue that so many are still afraid to speak of. As I say, it is through the sharing of personal stories that we will be able to change the conversation around mental health. Opening up this space has led many others to share their stories of diagnoses online or in safe spaces. In terms of numbers, because most of my work initial work was done online, I cannot estimate an exact number — some people see and will not comment or respond to the conversations online — however I have received so much feedback when I meet people on the streets who appreciate the work we do as the Tumaini Foundation. I also want to work with the government to encourage employers to create mental health policies specific to their organisations. People need to stop losing their jobs because of mental health issues; the implications are far greater than we currently envisage and employers need to understand the impact of this on society and on their own organisations. To this day, there are government and some private sector jobs that one cannot hold if they have been diagnosed with a mental health disorder or a substance abuse disorder, which is totally unfair. We want to work to open private health care facilities as the foundation and also in partnership with different stakeholder and partners. We want to work with the society as a whole to raise awareness and fight the stigma around mental health. If the number is 1 in 4, it means that almost every family has at least one person in their family living with a mental health issue. That means it’s not as far off a concept or an idea as we think it is. We want people to understand this, and empathise, as the first step because then that opens us up as society to rethink stigma and the different myths we carry forward and will make them more willing to learn about mental health and what it really is. Society needs to learn that mental health is as important as physical health and therefore give it the same importance. And that ladies and gentlemen is how you bring change to society. Liz is doing just that — and while it almost seems like nothing — my heart bursts with pride on her behalf. The future is bright.